What could make a play by the great Tennessee Williams close after only fifteen performances in its original Broadway run, thus earning the title of the most disparaged play of his career? And what did Rainbow Theatre Project see in “Clothes for a Summer Hotel” that encouraged them to stage a production of this still little-performed piece which is “a ghost story” about married authors F. Scott Fitzgerald and Zelda Fitzgerald? I was intrigued both by the play’s premise and by its historically controversial reviews and I knew I had to see it. I strongly recommend “Clothes for a Summer Hotel” based on the extraordinarily divine performance of Sara Barker as Zelda Fitzgerald. Set outside a grim mental facility, eerily depicted by Set Designer/Director Greg Stevens, the audience is immersed into author Tennessee Williams’ dream by none other than Williams himself (played by Matty Griffiths), seated in the upper right corner of the stage, typing out his vision as he verbally sets the scene for the audience. Author F. Scott Fitzgerald (Aidan Hughes) arrives to visit his institutionalized wife Zelda (the phenomenal Sara Barker), and the nightmare begins – not so much in the imagined dream world of the play, but on the very real stage in front of us as actor after actor began tripping over lines until, like a row of dominoes, dropped and bumbled lines littered the entire two and a half hour performance. But all was not lost, for rising from the scattered chaos around her was, ironically, the actor given the task of portraying the most frenzied and tattered character of the night, Sara Barker in the role of Zelda Fitzgerald. And in a case of life imitating art, Barker paid no mind to the distractions of the real world but remained fully immersed in her fantasy world as Zelda Fitzgerald, the bright fire spark whom jealous husband Scott sought ceaselessly to dim. Barker’s legendary performance as Zelda was extraordinary. She went from nuanced glances of eyes and subtly lifted eyebrows to extreme fits of passion, every colorful emotion in the paintbox fully realized. In all of the theatre productions that I have reviewed, I have never seen the equal of Barker’s performance and I encourage you not to miss it because, in the universe’s rare gift of alignment, the surrounding production issues only highlight the brilliant ecstasy of Barker as Zelda. The original Broadway reviews of “Clothes for a Summer Hotel” indicate great confusion on the part of the reviewers (all male, incidentally) as to the point and purpose of the play. They thought it was about Scott, or at best, about Scott and Zelda’s marriage. Words such as uneven, erratic, and shallow were thrown around. They missed the point. Williams’ play is a love song to Zelda, whose personhood was cast aside by Scott and whose greater talent for writing was forcibly eradicated. In her life, she lost her agency and therefore her voice. In Williams’ play, Zelda dominates and her narrative is the only one which matters. Most of the other characters, Scott included, are bit players whose only job is to provide a background onto which Zelda can more fully shine. Williams cleverly inserts himself into the play not really as the narrator, but in the character of the hospital orderly (whom Zelda imagines being former lover Edouard) who gently pushes Zelda out to see Scott and who encourages her throughout the evening to keep telling her story as he tenderly supports her. Zelda is hesitant to relive the past but Williams wants her to receive her due – the chance to be heard, the opportunity to be acknowledged as an individual, and the possibility of being adored in all of her multi-faceted madness. And there’s the heart of the play because it’s not only about Zelda (whom Tennessee did not know personally) but it’s about Tennessee’s beloved sister Rose, who was lobotomized for mental illness (with their mother’s consent) and institutionalized for the remainder of her life. “Clothes for a Summer Hotel” is a starring role for the tossed aside and forgotten and it’s an emphatic ode of defiance insisting that their lives matter as much as, if not more than, the lives of those who discarded them. I strongly recommend “Clothes for a Summer Hotel” based on the extraordinarily divine performance of Sara Barker as Zelda Fitzgerald. I sincerely urge the rest of the cast to study their lines and practice before their next performance because while it’s a happy coincidence that their missteps highlight the perfection of Barker’s performance, I would have loved to see the play as Williams intended it, with the right beats and punches and nuances on the sidelines as well as in the star. 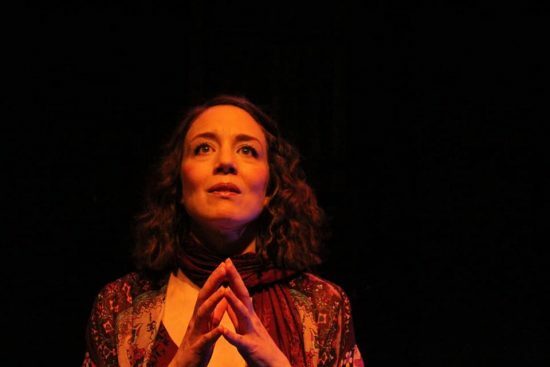 “Clothes for a Summer Hotel” by Tennessee Williams, directed by Greg Stevens, is playing at the Rainbow Theatre Project through April 28, 2019. For more information, click here.